Nino Cerruti 1881 Homme EDT is a cool, distinctive fragrance which is perfect for the older man. Its strong and confident with high quality elements to give it a refined quality. 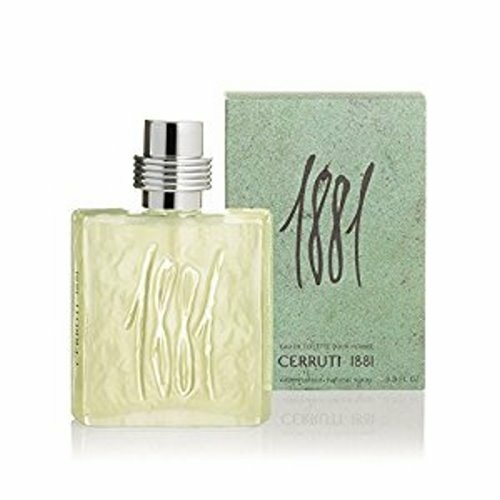 Nino Cerruti 1881 Homme of Lavender, Carnation, Galbanum, Cypress, Bergamot, Juniper and Elemi Resin top notes, middle notes of Vetiver, Ylang-Ylang, Rose, Lily of the Valley and Cassia and base notes of Musk, Sandalwood, Patchouli, Cedar, Oakmoss, Pepper and Pine. A classic fragrance since the 1990s, Nino Cerruti 1881 Homme Eau de Toilette comes in a smooth glass bottle with the 1881 logo.